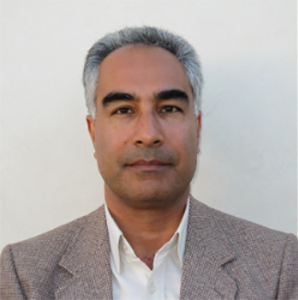 Dr. Massoud Kaykhaii received his Bsc in 1989 at Shiraz university and Msc in 1993 at Ferdowsi university and achieved 3 Phd's in Analytical Chemistry from 1997 to 2016. Currently, he is serving as an professor and has over 27 years of teaching experince at University of Sistan & Baluchestan, Iran. Dr. Massoud Kaykhaii is the author and coauthor of more than 110 Research articles which are published in good reputed journals, and participated more than 123 national and international conferences/seminars. His research work is mainly focused on modern sample preparation techniques including µ-solid phase extraction, solid phase microextraction, liquid phase microextraction and stir bar sorptive extraction. Dr. Massoud was awarded as best researcher at Water and Waste water company in 2009 and University of Sistan and Baluchestan in 2017. He has been a counsellor in 10 companies in Iran and finished 25 industrial projects. Dr. Massoud is a member of editorial board of 40 international journals and Reviewer of more than 50 Journals.